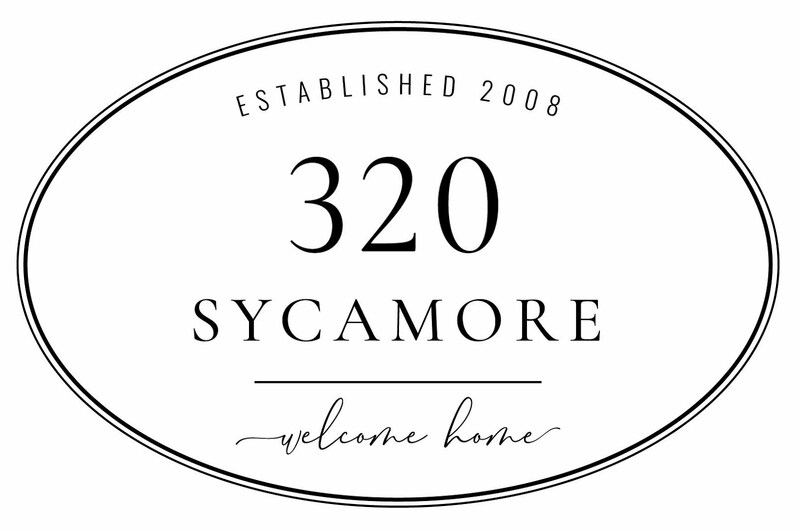 When we were looking at floorplans, the areas I looked first for were: an entryway where the kitchen couldn’t be seen, a mudroom, and a large pantry. Kind of weird, huh? In previous homes we’ve owned, I’ve seen that if we have a “dropping” area where coats, backpacks, computer bags, keys, homework can go then the rest of the house seems less cluttered. Thus, comes my love for mudrooms. They don’t have to be huge, but a bench and some hooks can restore some sense of order in the bedlam of busy houses. Love that door and the natural light! Sadly, ours won’t have a window because it comes from the garage. Clean, white and bright. 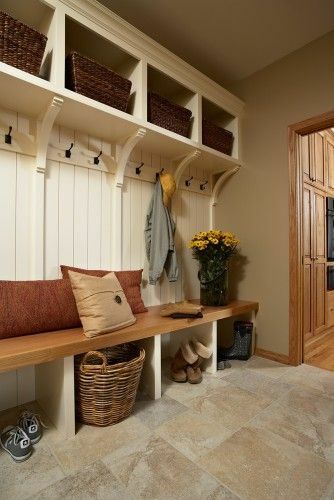 And do you notice mudrooms always look the best without the very thing they are meant for? coats, backpacks, etc? I love the dividers and the height of the baskets, but we aren’t going to have enough room to this unless all 7 lockers are very, very skinny. I also loved the closed doors at top. Look at this smart use of a corner! Love the storage above and below and all of the hooks. I am a fan of the mudroom too! It is funny how they look better without the stuff you need in there. Ha! I want one in my next house even if it's small or built in with the garage entry area. Our mudroom is one of the most functional rooms in our entire house! We have 2 closets, a bench, a few hooks to hang coats and backpacks,our family cork board message center, a mirror, a place to hang keys, counter space and our washer and dryer. We couldn't do without it! You know how I feel about a good mudroom! :) I still won't have one, but this winter, I am craving one more than ever! Our architect who has designed so many homes said that if he would design one for our large family it would just be rows of hooks, with a bench going straight to the floor and that's it because very rarely does anyone (especially kids) take the time to put shoes in-they all get kicked off...I've noticed the same thing with our garage cubbies-all the shoes right in FRONT of the cubbies, not IN them. Love your photo ideas! Put the shoes in the buckets, please. Put the shoes in the buckets! PUT THE SHOES IN THE BUCKETS!! I say it over and over, but does anyone listen?!? We had to make it an after dinner job, but yes, rarely do they go inside the buckets/baskets, etc. Soon to start construction so this post is fantastic! I've never had one- but we're moving this year, and it will be at the top of my list! My husband is in construction, and we need a she area with a heating vent to dry his boots, hooks to hang coats, a shelf area for stuff he brings in, and concealed storage for motorcycle gear. We're down to a fmaily of three, but we still need this, even without little ones around!!! My parents put one in their house and we are all grown up and gone. But when we come home, you should see that mudroom. A room FULL of shoes, coats, etc. But it's so nice to have it in a separate area. Absolute necessity! Our new home has a small area now and we are already looking to expand the one inside (there is a closet that is not functional that will have to go!) and add another area in the garage. Our last home was decent sized, but had a lot of tiny rooms. The one saving grace was the mudroom area! That's funny because your three musts are my three musts as well! Pantry, mudroom and hidden kitchen! This is a project on my list too. While we don't have a designated "mud room only" room, my laundry room could accommodate some built-ins. I think I need a combination of open and closed storage - open at the bottom to kick off shoes (since that's what they do), and cabinets up top for season items so I can stash them away, out of sight, when they're not being used. A girl can dream, right? That is smart to have cabinets for off-season items! We have one and I love it! Ours is stained to match the wood floor which makes it kind of dark. oh, ours was always a disaster and it will be again. But I'd rather have the disaster back by the garage than right in the middle of the kitchen/family room. We're beginning an addition and big remodel of our 850 sq. ft. house next week and we're going to have a mudroom AND a nice size pantry with a window. I'm so excited!!!! with a window!! Jealous. You will love it--so excited for you!! NOT having a mudroom or any real drop zone by the door, I can tell you I dream daily of one! Or two, truth be told. One by the back door and one in the basement for the dog stuff and barn clothes. 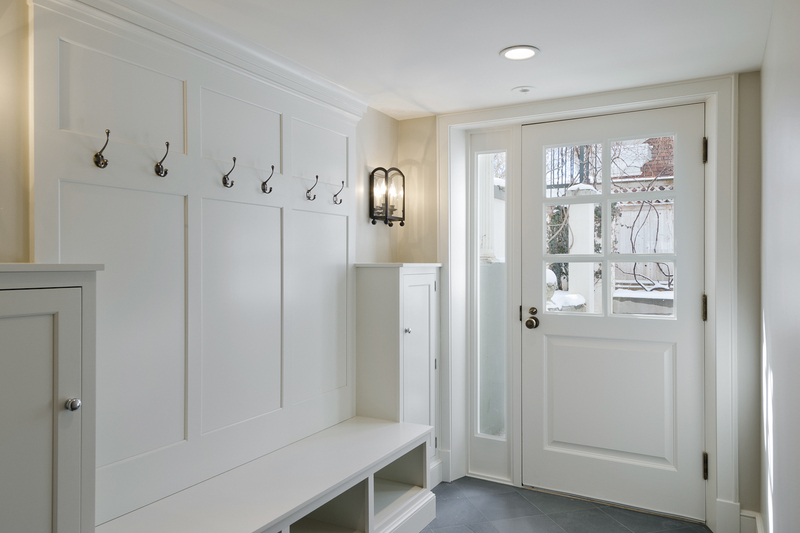 My number one wish in my home as a bonny is a mudroom! We didn't have space for a "mudroom" or "mud hallway" or any separate space for it, so we added it off the garage entry hallway in the laundry room. It's a little skinner than your typical mudroom to allow for walking space but my husband and I both agree that we thing it will be the perfect dropping zone, and totally out of sight! Not to mention otherwise that wall would have totally be unused except for lining up a million laundry baskets! Your three must haves are up their with mine. Off topic but I can't stand houses where the kitchen sink is visible from the front door. 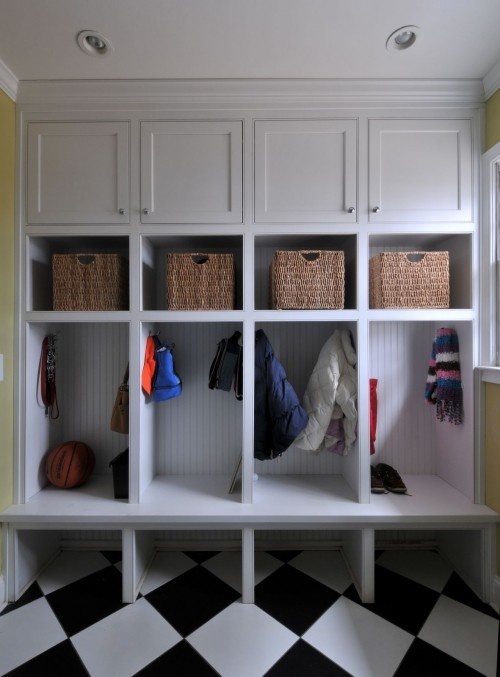 I like the mudroom with the baskets on the side, the the kids can reach them and use them. My kids don't remember to but their stuff away half the time but they do know where to find their stuff. I like the open storage for shoes maybe two levels under a bench would be helpful for more storage. I love hooks for kids to hand backpacks and coats. My dream house would have the mudroom coming in from the garage. We had it in our last house and I loved it. Love all of them! I don't know how we lived without a mudroom before Mom and Dad's house. 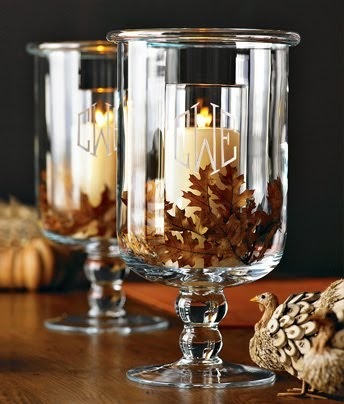 You are so right about the rest of the house not feeling as cluttered, especially in the winter. Wet boots, snow pants, gloves, hats, etc. and it rarely stays clean but that's what it is there for. Best invention ever! Great selections! I think mudrooms are awesome!